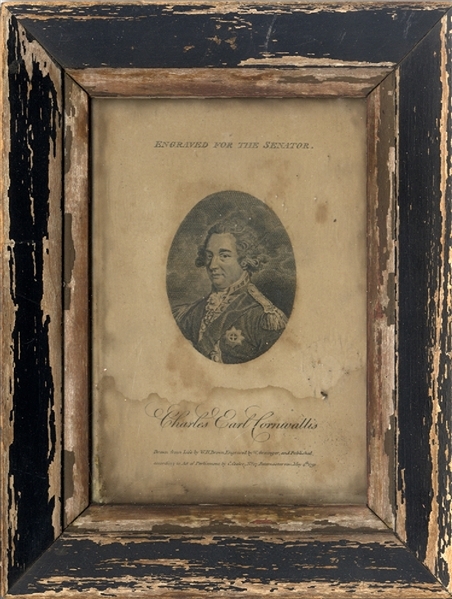 Period Framed houses the period print, 4” x 6”, titled “Charles Earl Cornwallis, Drawn from life by W.H. Brown, Engraved by W. Granger and published ... by C. Cooke ... May 4, 1791”. Print shows water staining in background, engraving of Cornwallis is chest-up and sharp.